Dedicated to the surgical approach to diseases of the central nervous system, neurosurgery treats from brain tumours to pathologies of the spine such as herniated discs. 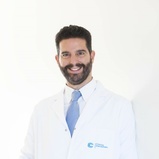 At Clínica Corachan we have the most advanced equipment such as a cutting-edge surgical microscope and we apply intraoperative neurophysiological techniques that ensure the preservation of nerve function in the perilesional area. TeamNEUROINSTITUT - NEUROCIRURGIA I CIRURGIA DE COLUMNABRAIN AND SPINE SURGERY BARCELONA NEUROCIRUGIACENTRE MEDIC C.U.E.MINSTITUT NEUROQUIRURGIC DR. APARICIO CABALLERONEUROCIRUGIA BARCELONA ScheduleMorningEvening Mutuality--- DIVINA PASTORA SEG. GEN. S.A.U. (CIF ANTIC )A.SANITARIA COLEGIAL S.A.AEGON, SALUDAGRUPACION AMCI DE SEGUROS Y REASEGUROSALLIANZ WORLDWIDE CARE LIMITEDANTARES, SEGUROS DE VIDA Y PENASEFA S.A.ASISAATLANTIDAAXA SEGUROS GENERALES S.A.DE SEG.Y REASEGUROSCAJA DE SEGUROS REUNIDOS CIA. (CASER)CASER GESTIÓN TÉCNICA AIECLINICUM, S.A.DKV SEGUROSDKV-ALLIANZFIATC MUTUA DE SEGUROS Y REASEGUROS.GENERALI ESPAÑA, S.A. DE SEGUROS Y REASEGUROSHNA, HERMANDAD NACIONAL ARQUITHNA, SERVICIOS CORPOMONTEPIO SAN CRISTOBALMUTUA GENERAL DE CATALUNYAMUTUALIDAD G. DE PREVISIÓN HOGAR DIVINA PASTORAPRIVADOSSANITASSEGURCAIXA ADESLAS, S.A.SERSANET-COSALUDVITAL SEGURO, S.A.